Silloth-on-Solway Town Council encourages dog owners to act responsibly and clear up after their dog. It is an offence for any person responsible for a dog, not to immediately remove and dispose of appropriately, any excrement after their dog has fouled. This applies to any public open space including pavements, footpaths, roads, parks, recreational pitches, cycle ways, communal land and any open land that the public has access to. 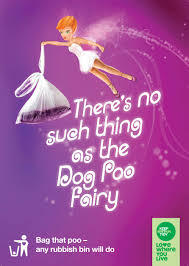 Dog fouling is not only messy, it can also be dangerous to your health. You can report dog fouling that needs to be cleaned up using the button below. You can also report people who allow their dogs to foul. If you are a dog owner please clean up after your pooch. There is no excuse! Free poop bags are available at all Allerdale offices. There are many litter bins around the town in which you can get rid of scooped poop. If you can’t find a litter bin whilst you’re out, take the mess home and put it in your bin. If you are aware of any irresponsible dog owners who have failed to pick up after their dog then please contact Allerdale Borough Council. or any information which might help identify the owner can prove useful. With sufficient evidence they can take action against the offenders.